Frank Angel has practiced law in California since 1984. He has been specializing in environmental, natural resources and land use litigation since the late 80’s. Frank regularly appears in trial courts, appellate courts and before administrative agencies such as the California Coastal Commission and California local government decision-making bodies. He has worked with elected officials, as well as staff of the National Park Service, the California Department of Parks and Recreation, the California Regional Water Quality Control Board, Los Angeles Region, and the Santa Monica Mountains Conservancy to preserve significant open-space lands in the Santa Monica Mountains National Recreation Area, and to protect water quality. He also assists clients in the land use entitlement process. The cases Frank has been prosecuting seek enforcement of important public laws, such as the California Coastal Act of 1976, the Coastal Zone Management Act of 1972, the California Environmental Quality Act (CEQA), the Planning and Zoning Law, the Subdivision Map Act, the Cortese-Knox-Hertzberg Local Government Reorganization Act of 2000, and local coastal plans, general plans and zoning regulations. Frank Angel’s appellate victories in Sierra Club v. County of Los Angeles (July 24, 2001, B128157) and Sierra Club v. California Coastal Com. (Feb. 27, 2003, B138627), were instrumental in a major, long-awaited Southern California parkland acquisiton—the purchase in 2005 by federal and state public parkland agencies of 588 acres of open space in the heart of the Santa Monica Mountains. These appellate decisions invalidated local and state environmental review documents, as well as coastal land use plan amendments and the permits for a major campus development by Soka University of America on King Gillette Ranch. 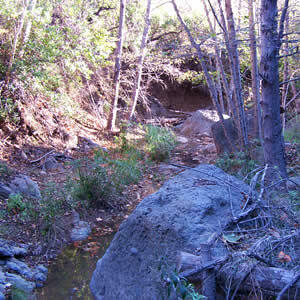 Located upstream of Malibu Lagoon and Surfrider Beach, adjacent to Malibu Creek State Park, King Gillette Ranch is known as the crown jewel of the Santa Monica Mountains. It is home to highly sensitive ecological resources, including valley oak and coast live oak woodlands that are critical to preserving core wildlife habitat and wildlife habitat connectivity, and to providing public access for resource dependent recreational uses and nature study. The parkland acquisition also will protect the 7,000-year old Chumash Indian village of Talepop and a Wallace Neff-designed Spanish Colonial Revival style hacienda, built in the 20’s for razor magnate King Gillette. In 2003, Frank Angel served as the City of Calabasas’ lead CEQA counsel in complex environmental litigation against the County of Ventura and Washington Mutual, Inc. Calabasas and other affected local governments brought this litigation in response to Ventura’s approval of the first phase of Washington Mutual’s Ahmanson Ranch project. The litigation settled in the Fall of 2003, leading to the acquisition of the 2,890-acre Ahmanson Ranch by the Santa Monica Mountains Conservancy. The project’s proposed phased development of 400,000 square feet of commercial and office space, a 300-room hotel, two 18-hole golf couses (including a PGA course) and 3,050 houses north of Calabasas would have spilled urban sprawl into the San Fernando Valley’s last major airshed and habitat for many special status wildlife and plant species, including the federally-threatened California red-legged frog and the state-endangered San Fernando Valley spineflower. Extension of Thousand Oaks Boulevard through Los Angeles County and Calabasas to U.S. Highway 101, and to Victory Boulevard in the City of Los Angeles, would have resulted in substantial traffic impacts on Calabasas and other Los Angeles County communities. In addition to Frank’s work to protect open space, he also supports appropriate development. He has represented various landowners resolve contentious property issues as well as achieved entitlements for clients facing opposition to their well thought out development. Clients have included Mr. & Mrs. James Brolin amongst others. Frank’s dedication to public interest law and environmental quality has been steadfast. Born in Zurich, Switzerland, to Luxembourgish parents, and raised in Luxembourg, Frank’s family has historically been involved in the public sector and land use. His great-grandfather, a Luxembourg immigrant from Italy, built many of the now historic public buildings in Luxembourg city (main Post Office, first U.S. Embassy etc.). His father, Robert Angel, and brother, Marc Angel, have both served as Members of the Luxembourg Parliament. Frank served as the Honorary Consul of Luxembourg in Los Angeles from 1992-2003. Frank Angel (left) with former California Governor Gray Davis at the celebration marking the 10th anniversary of the State of California’s acquisition in 2003 of Ahmanson Ranch. Frank was lead CEQA counsel for the City of Calabasas in the court battle that preceded preservation of this historic, 2,900-acre ranch as public parkland.